It is difficult to imagine humanity without all the knowledge that it has at the moment. How many millennia have we accumulated what we know now?! Every letter of the alphabet, every number, every equation and formula that was obtained through our development is the highest gift. I think many will remember from the school history lesson the evolution of our society, as the knowledge humanity has learned to pass from generation to generation. But it all began once with the usual rock paintings. Moreover, many of them date back to tens of thousands of years. Not many remember, but the first library appeared only in 48 BC, Then it was the first and only place in the world where both contained thousands of scrolls with different knowledge. Of course after this example libraries in the world began to appear much more, but in our era. This changed not only the materials on which the manuscripts were written, but also changed the manner of writing (from handwritten to printed). With the advent of the Internet, this knowledge has acquired a different, newer form and manner of transmission. However, throughout this time, knowledge succumbed to a great loss. 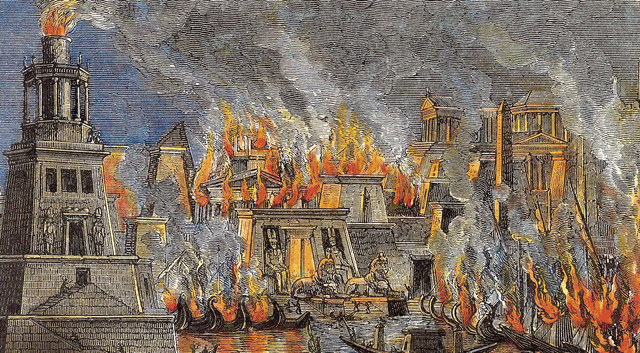 For example, the world’s first library in Alexandria was damaged by fire and most of the works were irretrievably lost. Libraries of our time also flamed in the element of fire more than once, which once again proves their inefficiency in terms of storing valuable data. Yes that perishing there to speak, in times of world war II was destroyed a huge number of books, because contained in them information could provoke revolutionary sentiments in society. Thus, from the above it follows one conclusion that our knowledge very often depends on a small group of people, politicians or scientists who from time to time do what they want without thinking about the consequences. Moreover, now very often began to emerge information that many States are rewriting history, erasing from his memory and the memory of his younger generation, some shameful and vile moments of the past years, distorting their amendments the true history of all mankind. But this is not the only problem that hangs over our intellectual heritage. With the development of the Internet increasingly began to appear resources where you can find a huge number of collection documents, mixed with other types of data, which leads to no information chaos, which is difficult to understand. What’s real and what’s not? What is true and what is not? What information to believe and what not? All this forms a kind of indefinite web of digital knowledge, which is gradually sinking not only you and I, but also our younger generation. 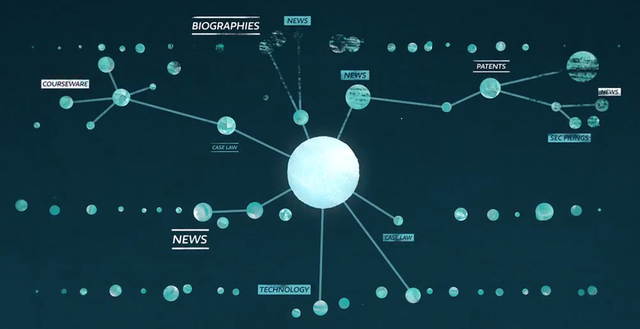 The project, which is ready to show us its solution to existing problems, is called – OMNITY. Its main purpose is to systematize all the data in the world. That is knowledge, using a set of different technologies of mathematical and machine learning, as well as a number of other auxiliary systems of detection and data management. 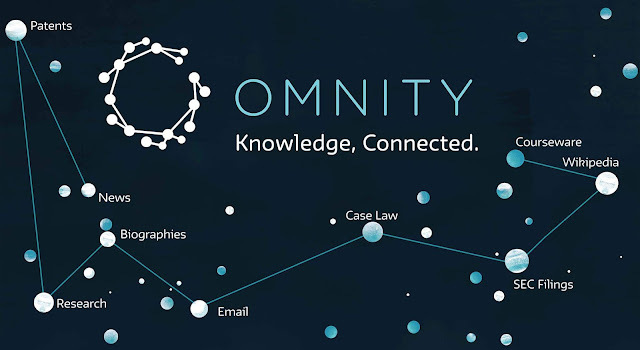 The project itself is an evolutionary stage in the development of an existing resource https://www.omnity.io, which has been successfully operating since 2016. Currently, the core of the system is formed by integrated management systems, natural graphics and language processing, as well as quality control and machine learning with a decentralized data storage system (i.e. blockchain). data on stock exchanges and much more. So we see that the OMNITY system has absorbed the data content of all these archival structures and a bunch of other Federal databases. Moreover, these materials are open to all users and are a kind of “free”. Why this word is enclosed in quotation marks, I will try to explain in the token section. The very same system OMNITY is unique in its kind and allows you to create different levels of requests. I will try to give you a small example so that you understand the beauty of OMNITY. Suppose you are interested in some scientific dissertation, which relates to some field of science. You create your query in the system, and then the whole intelligent system of OMNITY is included in the work and begins to look for cause-and-effect relationships between scientists, researchers, other people, companies, organizations and even the government, connections that can fully respond to your request. 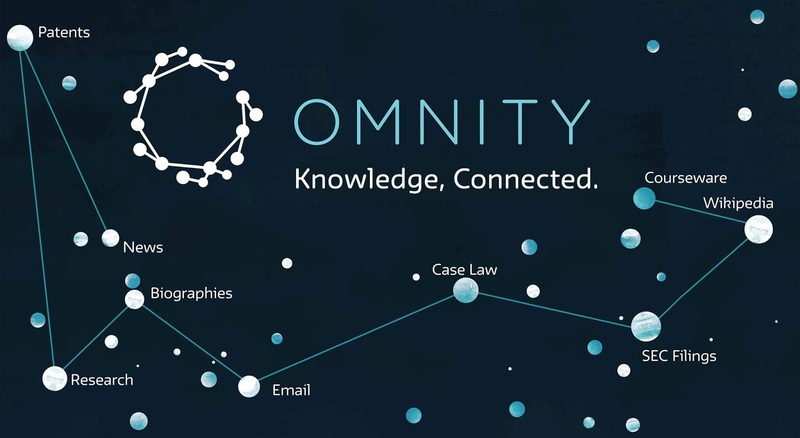 That is, OMNITYcollects and organizes all existing data in the category you need. Moreover, in your request you will receive a fully structured response, which will be disclosed this or that idea, the output within the text or the idea documented in private or public archives. All this became possible due to the combination of machine learning, mathematical graph of language processing, its detection and interrelation of information flow. I also want to draw your attention to the fact that the processing speed of your request is at an incredible speed, you get a response in almost real time. I think it’s just phenomenal! It is important to note that OMNITY uses only trusted sources of information. It can be scientific works, technical documents, medical, mathematical, engineering, legal dissertations, Federal grants and patents, national archives and many other official resources. 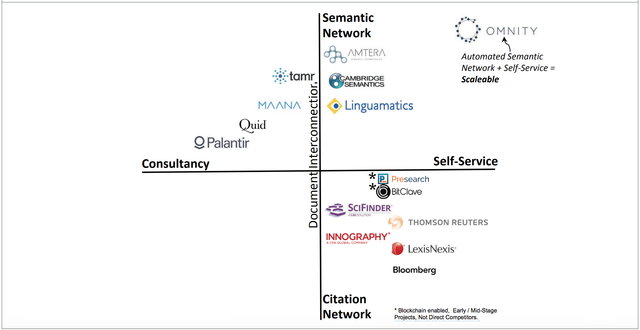 All these data form a single OMNITY database available in more than 100 languages. In addition to the necessary security, the blockchain plays another role in this project. And we will talk about the tokens, with which the user will get free access to a huge access to information of the OMNITY system. Also, with the help of the – Om token, the user will be able to upload their documents and archives to the OMNITY system. For example, for 1 Om the user can access documents in no more than 20 pages, where each of them contains about 3000 characters. In General, the principle of operation is quite simple and clear, which makes the OMNITY system available to the General public of modern society. At the same time, the launched ICO will allow to collect the necessary investment funds for the further development of the project, increase its volume of information and absorbed additional data. Given the rate of growth of information from day to day, it really became difficult for people to understand among all this huge amount of data with this or that information. Since there is no systematic absorption or reproduction. And to independently study a particular area of the issue may take more than one hour or even a day of work to raise from different archives the information you need. The presence of OMNITY in the world simplifies life, making it more structured and safe. All that you are interested or need to know is available in unlimited volume. At the same time everything works quickly, clearly and easily. One has only to make a few actions in front of you opens the area or the knowledge that you have been looking for. In fact, I really liked the idea of the project. And I already know how I can use it. So if you are interested in this project as well as I do, I recommend that you read it yourself in more detail. Below is a list of all the official resources of the project, where you can find more information about OMNITY.